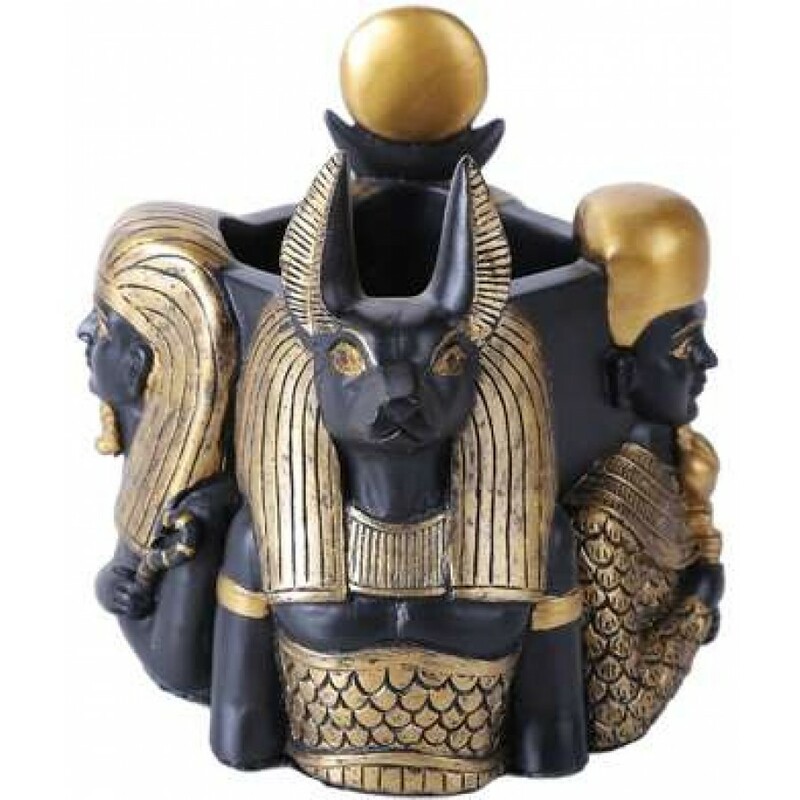 This 5 inch high cup is surrounded by Egyptian Gods - great as a altar offering cup or on your desk to hold pens or other items. 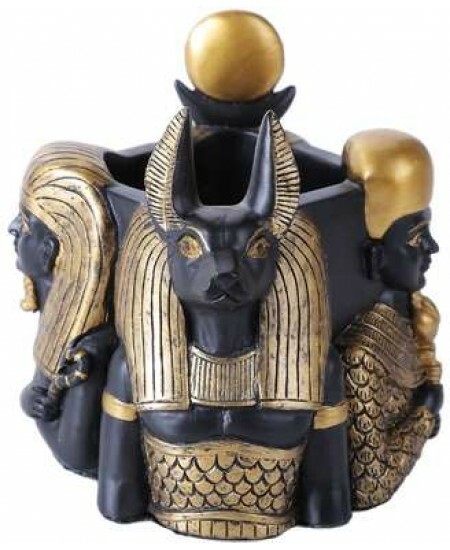 Cold cast black resin with hand painted color detail, this 5 inch high cup can hold so many things - from offerings on an altar to pens on your desk. 4 3/4 inches in diameter. 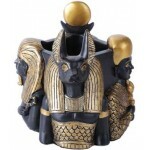 Features Ptah, Anubis, and Horus. 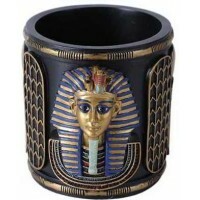 Item Number: PT-11121 | Approximate Size (Inches): 4.75 wide x 4.75 deep x 5.00 high | Approximate Shipping Weight: 1.00 lbs.